I am back today with a review + Hope you guys definitely get something out of this + maybe try it for yourself! Also, I want to warn you that this may be a lengthy read! LOL!! 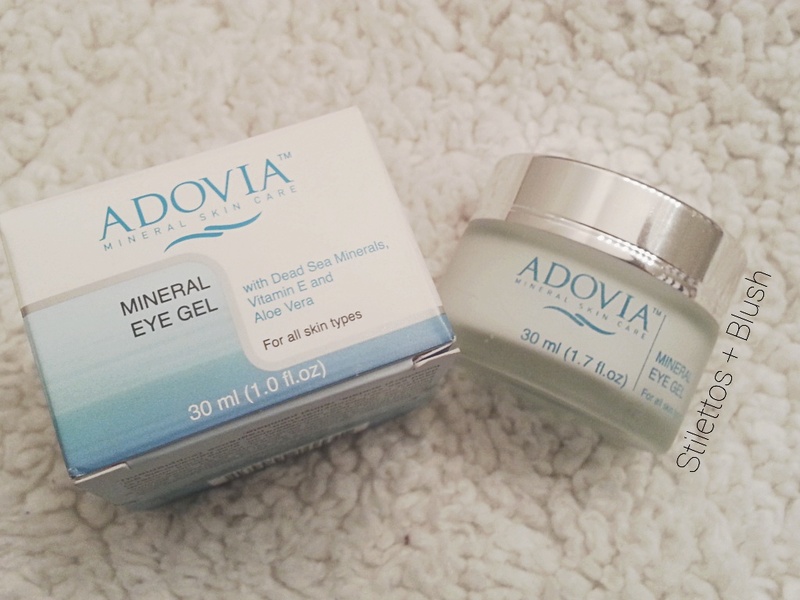 So the product I am reviewing today is this ADOVIA Mineral Eye Gel which was sent to me for review purposes. This eye gel can be found on Amazon.com + retails for $29. I have been trying it for a little while but I still feel like I haven’t used it quite enough to make a decision buuuut, lets move on to the good stuff! 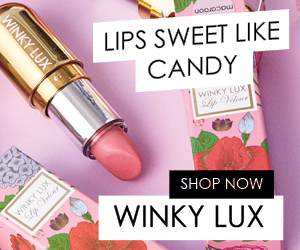 Reduces the appearance of wrinkles around your eyes and smooth out fine lines. The delicate skin around your eyes requires a special, gentler touch. The Adovia eye gel is unique in that it’s a light softer gel which is highly concentrated with nutrients your skin needs. Makes skin around the eyes have a more beautiful, youthful glow. This sheer, light gel is infused with active minerals from the Dead Sea to soothe and protect the delicate eye area from dehydration and the signs of aging. Vitamins A and C – natural Antioxidants – work to protect the skin from daily damage. Directions: apply daily around the eyes morning and evening. Because skin around the eye area is so delicate, it many times will more quickly show signs of aging. With Adovia Dead Sea Mineral Eye Gel however, skin is left moisturized with a visible reduction of wrinkles. Fine lines are smoothed, as skin is infused with rich natural ingredients like Dead Sea minerals, plus antioxidants and vitamins. Dead Sea eye gel is a more lightweight option that is still highly concentrated, effectively delivering nutrients essential to your skin. Users are left with a more youthful appearance, protecting the delicate eye area from dehydration and other signs of aging. Dead Sea eye gel products are always a perfect fit with any beauty routine and since this mineral eye gel is combined with the natural antioxidants of Vitamins A and C, it will quickly become a morning and evening staple. Adovia Eye Gel nourishes and moisturizes the skin around your eyes reducing the appearance of fine lines while preventing further damage or aging to the skin tissue. The active minerals help to soothe and smooth skin, leaving the eye area glowing day and night. Demineralised Water & Dead Sea Water, Stearic Acid, Propylene Glycol & Chamomile (Anthemis Nobilis) Extract & Algae Extract & Papaya (Carica Papaya) Extract & Aloe Vera (Barbadensis) Gel, Caprilyc/Capric Triglyceride, Cetearyl Alcohol, Potassium Cetyl Phosphate, Sweet Almond (Prunus Amygdalus Dulcis) Oil, Glycerin, Carbomer, Olive (Olea Europaea) Oil, Geranium Maculatum Oil, Evening Primrose (Oenothera Biennis) Oil, Urea, Hydroxypropyltrimonium Hydrolyzed Keratin, Peach (Prunus Persica) Kernel Oil, Cornflower (Achinicea Pallida) Extract, Lactic Acid, Hydrolized Collagen, Benzoic Acid, Chlorphenesin, Dehydroacetic Acid, Benzalkonium Chloride, Propylparaben, Dead Sea Salt, Exotic Verbena (Litsea Citrata) Oil, Ginseng (Panax Ginseng) Extract, Soybean (Glycine Soja) Extract, Ascorbic Acid, Retinyl Palmitate. I have used this eye gel for a month + overall I feel that it’s just Okay. I am not overly impressed with it but I am also not extremely disappointed either. I gave it 3 out of 5 Rilakkuma’s (Yes, this is a thing now lol). The texture is very nice + light. There is no fragrance which is nice especially since my facial skin is crazy sensitive. The gel gives a nice cooling effect which is pleasing + I feel helps reduce puffiness a bit. The texture is really nice + kind of thick but melts away into the skin leaving it very moisturized + smooth. The company claims that this gel reduces the appearance of fine lines but in that department I see not a single change. I used this product twice a day as well but still, I didn’t notice a change at all. Not everything is for everyone so I think I may need something with slightly stronger ingredients for my under eyes. With that said, I would actually recommend it to other because he really does feel nice on the skin + is very light once absorbed. I just don’t feel I would purchase this myself unless it works better after further use. So all, I hope you found this review helpful + maybe this will work out for you! Let me know if you try it because I would be interested to know what your results are like! Fenty Beauty: Just what we needed!